Positive thinking not only helps you feel happier, it also benefits your health and your business too! But as life happens, it's not always easy to stay as positive and motivated as we'd like. 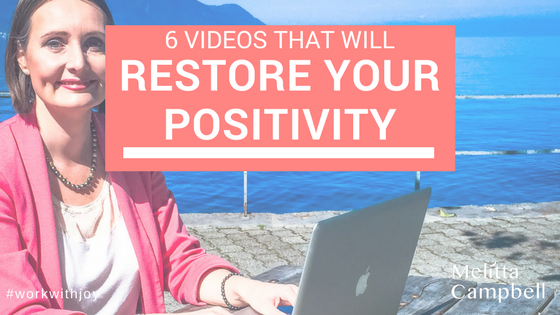 Next time you're in need of a motivation boost - check out these videos! Get ready to feel unstoppable! If you have never heard of or listened to Nick Vujicic before, then you must take the three minutes it takes to watch this video, now! (click the heading). We are all guilty of comparing ourselves to others from time to time, feeling that we need more or less of something before we will feel good, but Nick shows us how powerful it is to resist the temptation to get angry about what we don’t have, and instead choose to be thankful for what we do have. There are times in our life where we forget that we are in charge of our own destiny. 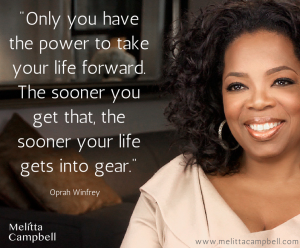 Here’s a wonderful reminder from Oprah that we have the power to shape our own lives. No matter what your background or personal situation we each have the power to take control of the moment and create a better outlook for the future. Finding excuses for our lack of success is easy, but it will not help us to make the necessary change to move forward. Accept the moment. Forgive the Past. Take responsibility and move forward. The one thing we all have in common is the desire to be happy. Yet often those who have everything they need to be happy are not. And those who have very little to be happy about are grateful for what they do have. Happiness and gratefulness do not always go together, yet gratefulness is the gateway to true happiness. 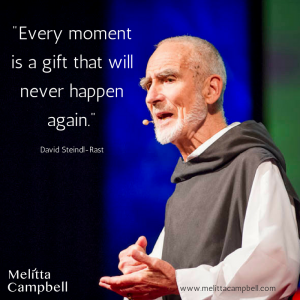 In this video we are reminded that every moment is a gift that will never happen again. Without the present moment, we couldn’t do anything. Happiness lies in being grateful for the opportunity every moment offers. 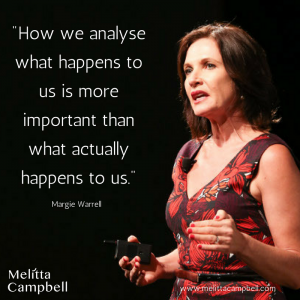 Bestselling Author Margie Warrell gives her insights on learning to cope with life's setbacks & stresses. The video quality isn’t great, but hang in there, she has some powerful messages to share. Margie explains that today it's more important than ever to be resilient to you can ride life's ups and downs and not let setbacks define you. To build resilience, she advises taking a step back to see the bigger picture - this will help stop a particular situation from defining you. She also suggests you should accept the reality, focus on what is in your control and build a strong support network to help you survive any challenges that come your way. No list of motivation videos would be complete without some words from the master of life strategies and inspiring people to take positive action, Tony Robbins. Brilliance in action! In this video, Tony discusses the 'invisible forces' that motivate everyone's actions, explaining how emotion is our predominant driving force. With our minds, we can think intellectually and rationalise anything, but this isn't what drives most of our actions or how we react to challenges. Tony explains how he is obsessed with finding out what drives people's actions and performance and what leads people to go beyond themselves. He shares his understanding of people's needs and what shapes the way they see their world and their situation and what this means for our own fulfilment. A short complication video of many great words of wisdom and challenge some of the world’s best motivational speakers have shared. If you are ready to step up and become unstoppable? This is the video for you! Quote: "There is nothing so powerful and a changed mind." Les Brown. What's your favourite motivational quote or video? Check out this Pinterest Board full of Motivation for Entrepreneurs! I love the Oprah video! That is one of my go-to’s. This is such a great list! You have great taste Amy ; ) Thanks!